TOUCH….Isn’t It What We All Crave? back at least 3000 years ago. In ancient times, Hindus, Persians, Egyptians and Chinese used it as treatment for many ailments. In modern times, massage therapy is universally regarded as beneficial for many chronic conditions, including stress, depression, lower back pain, arthritis, smoking cessation, high blood pressure, and much more. Millions of people have experienced the relief offered by massage therapy in their everyday lives. Shirodhara, or Heavenly Head Massage. The word “shiro” means “head” and the word “dhara” means stream or flow. It is an Ayuverdic treatment that has been used for 5,000 years in India. This deeply relaxing treatment involves pouring warm, herb-infused oil gently and steadily over the forehead across the third eye in a continuous stream using a special swaying movement. Shirodhara is a powerful treatment for relieving mental stress and nervous tension. Warm Bamboo Massage. This unique massage involves using heated bamboo rods of various sizes to knead and roll out knots and relax tense muscles. 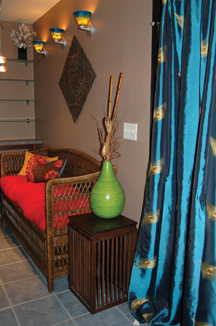 Warm Bamboo Synergy Massage combines the traditional benefits of massage along with the comforting qualities of heat. It is the perfect massage to counter the effects of stress, tension and lac k of rest. The bamboo pieces are specially designed and treated to be the perfect tools for massage. They are heated on custom made heating pads which allow the pieces to be heated to the optimum temperature thus enabling maximum retention of heat. Swedish massage, which stimulates healthy circulation. Long, gentle, flowing strokes are used to enhance relaxation, circulation, to relieve muscle pain and tension, improve flexibility and stimulate lymphatic flow to flush toxins from the body. Warm stone massage, in which smooth basalt stones of various sizes are placed in water and heated. The stones are then placed along the energy centers of the body in order to relax muscles, dissolve tension and reduce stress. The stones also mentally relax and enable a spiritual connection to the Earth’s energy. Warm stones encourage the exchange of blood and lymph and provide soothing heat for deep-tissue work. Sports massage, developed in order to help athletes to prepare their bodies for optimal performance while training, competing, and recovering. Sports massages emphasize injury prevention to the muscles and tendons. It is also good for chronic pain, injuries and range of motion. Deep Tissue massage, is designed to relieve severe tension in the muscle and the connective tissue or fascia. Deep tissue massages focus on the muscles below the surface of the top muscles. Deep tissue massage is often recommended for individuals who experience chronic pain, have sustained physical injury, or take part in heavy physical activity. Benefits include reduced muscle and stress relief. 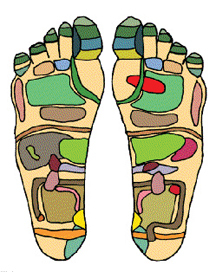 Reflexology, or zone therapy which involves pressure being applied to the feet, hands, or ears with specific hand techniques. It is based on a system of reflex areas that are said to reflect an image of the body on the feet and hands, with the premise that such work effects a physical change to the body. 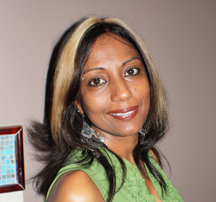 When you first meet Suzette you will probably be shocked that she could even do a massage since she is so tiny. But then she starts to massage you and you realize very quickly that you shouldn’t judge a book by its cover. This young lady is great. Well worth an hour of your day to treat yourself.